My name is Kloee and I have been blessed with surfing and competing on The WSL QS World Tour for 3 years now! I have traveled the world and have met so many wonderful people and made new relationships on four continents! I just finished high school where I finished as a four year varsity starter for the amazing San Clemente High surf team and capped my scholastic career with a 2nd place finish in nationals! I am attending university while I continue to compete on the world tour and want to share that you can be a professional athlete and seek higher education. Stay in school! Read interview with Kloee from 2014. I am a huge supporter of SurfEars and their technology for the short and long term benefits. 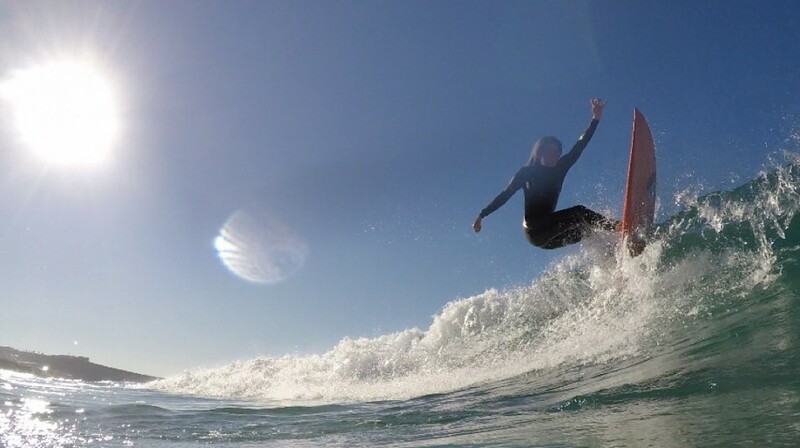 The worlds oceans are not clean and it is unfortunate however when I surf with my SurfEars I feel safer knowing that the contaminates are not getting in! 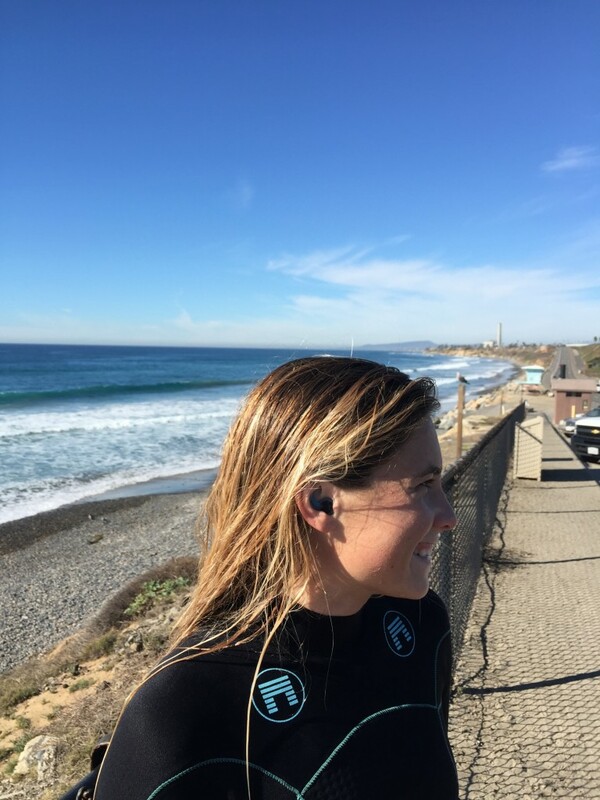 They are so comfortable, easy to use and allow me to surf daily without the worry of long term ear damage. My SurfEars travel the world with me every time, everywhere I go!